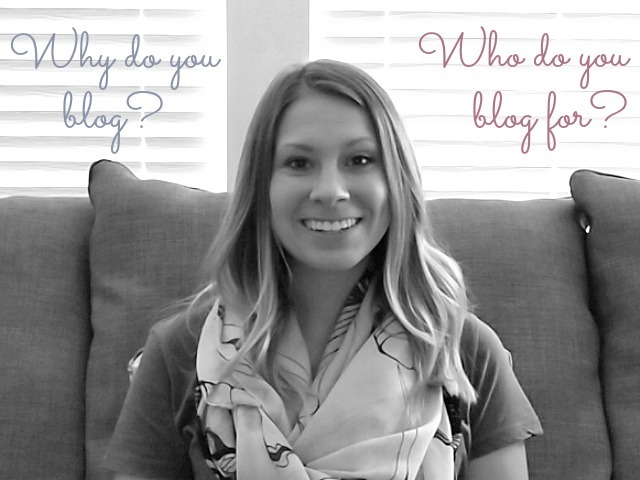 How many bloggers do you know? Probably a lot - dare I say hundreds? But do you really know why those bloggers blog? I think at least half of those bloggers are lying about why they blog and who they blog for. Don't leave and unfollow me just yet. Hear me out first then you are welcome to leave hate mail and never return to this site!! "I blog for me." How many times have you heard this? I know a lot of bloggers that blog for themselves as an outlet to express their internal feelings or maybe to just be creative. There is no hidden agenda behind these bloggers. They sit each and every day, or whenever inspired, to write and write about whatever they feel speaks to them. These bloggers aren't looking to increase their readers overnight nor looking to make a buck. Sure, they would be super happy if someone left a comment saying that they can relate to their post or that they found it helpful but that doesn't deter them from coming back the next day. Overall, they manage and maintain their blog just because it's fun to them. Now we have the rest of the liars. Yup, those that offer massive giveaways, accept paid advertisers (from other bloggers that are just trying to survive), allow guest posts, accept products for reviews, and so on but yet still insist they blog solely for themselves.This is not everyone out there but I am going to say there are far too many of them! The blogging world is a wonderful thing because it gives each author the freedom to really do whatever they want. I mean, if you really wanted to create a brand new identity over the internet rather than showcasing your real life then there is nothing 'wrong' with that. I think I would change my name to Tempest or Stryker if I did that. Ooh, future baby names... maybe? Kidding! So this has kind of turned into a rant post but it irks me to see bloggers running around the dot com world saying that they blog for themselves because it's a way to keep in touch with family and friends. Riddle me this then, why are they accepting $5-$80 for a 30 day sponsor spot on their blog? Also, does their family and friends really care if there is a guest post on their blog? Does the family and friends even know what a guest post is? Or the reason behind bloggers sponsoring one another? Chances are no! When bloggers start charging money for sponsorships, they can no longer say they blog for themselves. I am not saying it is wrong to accept money, products, services, gifts, or anything else from blogging. But it is wrong to be deceitful about it. In the end, we are all just bloggers no matter why or for whom. Let me just say that I would not and cannot consider myself one of these liars because I have never stated on my blog that I do it for myself. If I have published those words please prove me wrong. I have never accepted money from any blogger that advertises on my sidebar (even though I would love someone to pay me to host their beautiful face on my blog). I do accept products and services to review as well as accept money in return to write a post. I also have allowed other bloggers to guest post on my blog while I have been away on vacation. So go ahead and hate me for calling other bloggers liars... The reason why I blog is because one day I was bored - true story. Now I am curious, why do you blog? I blog for the connections. I couldn't find people in my area that "got" me, and so I decided to seek out my tribe in other ways. So I'm kind of like you... I sometimes have a guest post, I sometimes review stuff, but a lot of the time, I post what I feel like. And I really enjoy that balance. I'm going to be one of those bloggers who says that they blog to keep family and friends updated...originally that was the reason I started blogging. I've been actively trying to grow my blog, and have gotten away from that some in that I post reviews and giveaways and guest posts. But, I also make sure to include lots of things about about my family because at the end of the day, I want to have a record of our adventures. I think that people try to say they blog for themselves as the sole reason when maybe it's ONE of the reasons. I think there are a lot of reasons to get into blogging. I know for me, I started as a way of sort of having an outlet, a place to document my travels, and I really didn't care that much if people commented because it was for me. But lately, I've been wanting more community, which means altering things a little bit... I think it's okay to change your purpose, but I also like what you're saying: don't be phony about it! 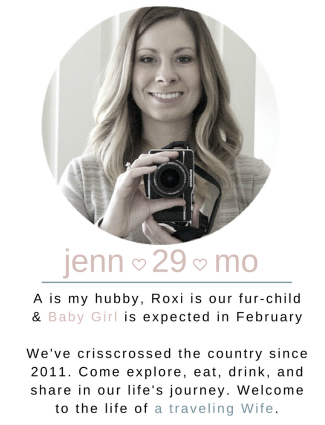 Like, just be open and honest: "I have a blog because I love it, but I also enjoy the visitors and interaction and the opportunity to make some money from it as well." I think people maybe try to be "too noble" or something, or come off as a purist or whatever, when really, it's like, whatever. Just be honest. :) Thanks for your honesty!